Like so many other places in the western United States, the Mount Shasta area had a fairly light winter in terms of snow fall. Last winter was below average but still significantly heavier than it was this year. However, the two winters prior to that, in 2011 ans 2010 were both extremely heavy winters. Both of them boasted large storms that dropped copious amounts of snow. The storm of 2010 in particular was both heavy and wet. The result was the downing of several trees which consequently knocked the power out for the entire community for days. Before these storms the winter of 2009 was a bit below average, though the two prior to that were well below. The weather is remarkably volatile from one year to the next. As a resident, it is nice to have mild weather in terms of snow removal as well as early springs, which means we can get up into the high country sooner. This year things were accessible in May. A couple of years ago, it was not until around the 4th of July that we first got up to the crest of the Trinity Divide. Still, for the overall health of the region, after a couple light winters, one must feel some urgency for an average or heavy winter. 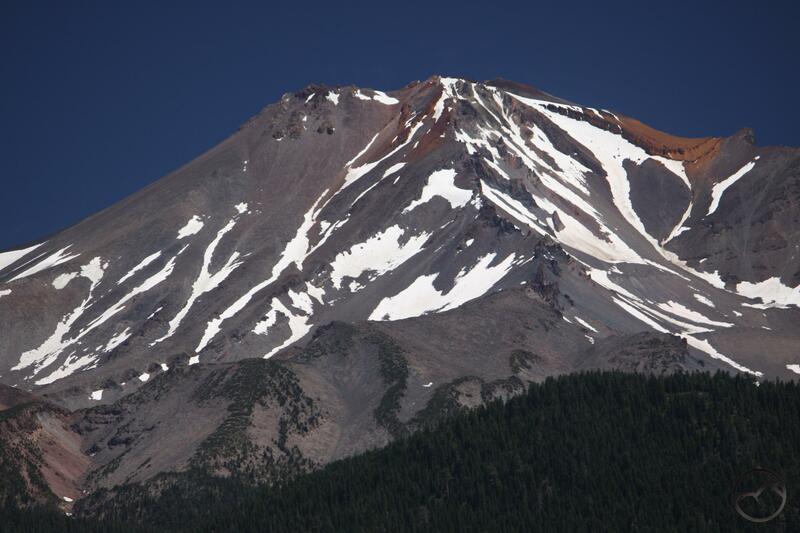 I put together a few time lapse videos of Mount Shasta from the last few years. They are all dated from July 15th. The difference in snow level is stunning. Really interesting-thanks for posting this! We were happy to be on the southern flank of Mt Shasta last week, and our guest enjoyed making a snow cone. Love that area above Squaw Meadows-it’s fun to do an off trail back to the gate over the ridge. Have to self arrest a bit, but not really hard down the ridge back to the trail. Squaw Meadow is pretty tough to beat. 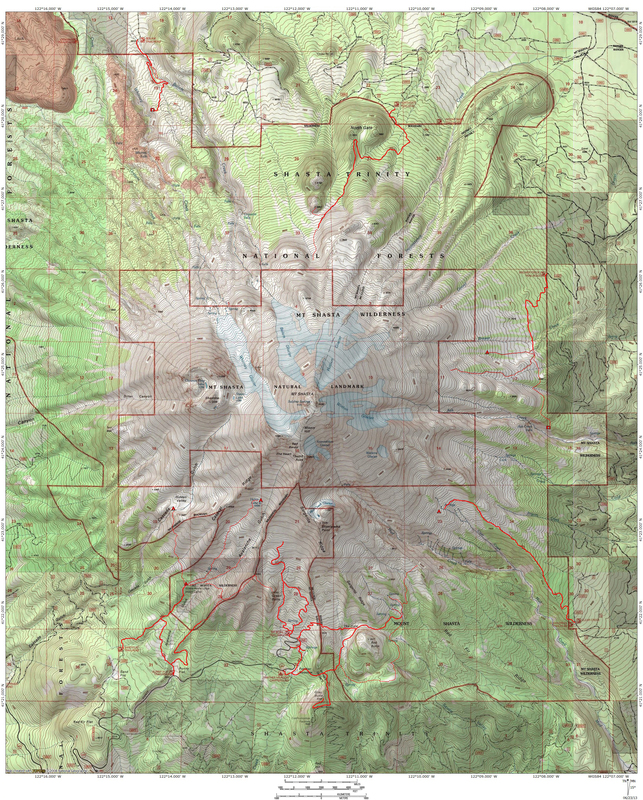 If you do the loop, I would rate it as the best overall hike on Mount Shasta. You are correct about all the off-trail opportunities around the area. If you head that way again, the best cross-country adventure is heading east from just below the base of the large cascade and hiking through open, scenic country to the rim of Mud Creek Canyon. It is staggeringly large and offers a rare view of seldom scene Konwakiton Falls! Great tip, we’ll have to do that next time! Hey, that was a great idea. Being able to compare the same date in history is illustrative. Thanks! I got the idea while trying to illustrate for my brother down in Monterey why climbing Avalanche Gulch would not be a lot of fun in August. Clear Creek it is! Since the snow is melting so fast this year will I need my crampons for the Old Ski Bowl Trail in Sept.